Pamlico County was named for Pamlico Sound, which in turn was named for an Indian tribe that once inhabited the northern fringes of the county. Perhaps four to five hundred Indians occupied the area during the time of exploration and early settlement. Belonging mainly to the Algonquians, the tribes were the Pamlico, Neuse, Bay River, Coree and possibly the Secotan, Pamouick, Tuscarora and Woccon. Until the smallpox hit them around 1686, the Pamlico were the most numerous. The Pamlico Sound provided an entry point for the English explorers who “discovered” the area in the late 1500s — some have theorized that the ships of Sir Walter Raleigh’s first expedition may have touched the shores of Pamlico County in 1584 or 1585. But their large vessels found the shallow sound difficult to navigate, so settlement didn’t begin in earnest for another century. The first permanent European settlers arrived in the early 1700s. At Nottingham Point near Arapahoe, the earliest known gravestone in the county is dated 1745. But historians know the area was settled long before that. Land records still exist of grants made by the King of England to colonial farmers and many residents can trace their roots back to those days. Initial relations between European settlers and Indians were good. As more settlers made their home at the mouths of rivers and creeks and along the Neuse and Pamlico Rivers, tensions increased and resulted in the Tuscarora War of 1711-1713. This war saw four tribes unite against the encroaching settlers. The tribes were defeated and by the middle of the 18th century no distinct tribes remained in the area. Colonization forged ahead and, in 1872, Pamlico County was formed from parts of Beaufort and Craven counties. During the “Golden Era of Piracy” Edward Teach, more commonly known as “Blackbeard,” is said to have sailed these waters before he died in 1718. Local lore has it that some of his treasure was buried under “Teach’s Oak” at the point in Green Creek where Smith Creek forms. The county is largely bordered by water with Goose Creek and the Pamlico River on the north; the Upper Broad Creek forms the county’s western boundary with Craven County; Pamlico Sound lies to the east; and the Neuse River to the south. All this water has a moderating effect on the climate. Average annual temperature: 62 degrees. June average: 80 degrees (with about 40 days a year when the temperature exceeds 90). Average annual rainfall: 50” per year and a mean relative humidity of 75%. Average snow: Perhaps one snowfall a year with about 2’ and a good excuse to stay home from school. The area now known as Pamlico County was formed in 1872 from parts of Beaufort and Craven counties. 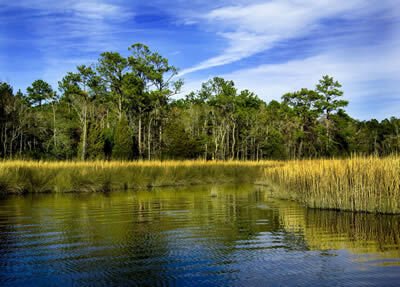 Pamlico County is a destination for those who love wide-open spaces and soothing expanses of water. As a matter of fact, it is made up of about 340 square miles of land and about 225 square miles of water. Primary farm production in Pamlico County consists of corn, soybeans, wheat, potatoes, cotton and forestry. Seafood processing and marine services account for most of the manufacturing output of the county. Estimates vary, but as much as 10% of Pamlico County’s total population is directly or indirectly involved in the commercial fishing industry. 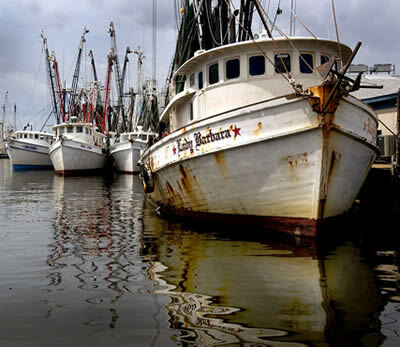 Some common seafood manufactured and harvested in Pamlico County are Flounder, Grouper, King Mackerel, Sea Bass, Sea Trout, Spanish Mackerel, Striped Bass, Croaker, Blue Fish, Red Drums, Black Drum, Mullets, Catfish, Common Eel, Crabs (Blue hard and soft), Shrimp (Brown, Pink, White and Rock), Conchs, Octopus, Oysters, Sea Scallops and Squid. North Carolina boasts one of the largest ferry systems in the United States. 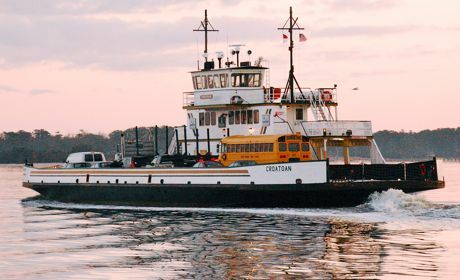 The NC Ferry Division operates 21 vessels, one dredge and numerous support vessels. There are 7 routes in the system. The shortest crossing is between Minnesott Beach and Cherry Branch (2.3 miles, 20 minutes) and the longest is between Swan Quarter and Ocracoke Island (27 miles, 2.5 hours). Ferries operate at an average speed of 10 knots. The ferries can operate in as little as five feet of water. The Town of Alliance, named after the Farmers Alliance movement, was incorporated in 1965. It is the home for The Pamlico County Department Social Services and Senior Center. The town has grown into the hub for many of the county’s medical services ranging from doctor’s offices, chiropractic services, family eye care, and dentists. Let’s not forget our pets; Alliance is also has a veterinarian office. There is shopping for everyone, there, you will find Pamlico County’s largest hardware and building supply, marine sales, auto parts, dry cleaning as well as several small shops, restaurants, and thrift stores. In the evenings, you’ll notice lights and cheers coming from the county’s only baseball and softball fields located in Alliance Recreation Park. 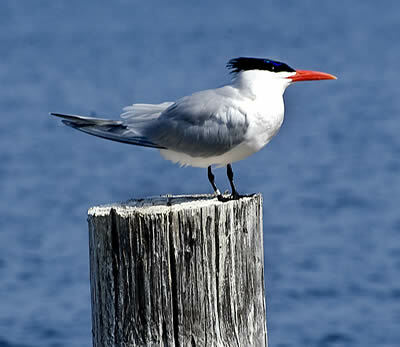 This community was settled early in the 18th century, not long after New Bern. Arapahoe’s post office was established in 1886. The town was incorporated in 1920. When riding through Arapahoe today, it appears to be just a cross roads town with an old fashion grocery store and a country cooking restaurant. You will soon discover Arapahoe is a hidden gem in Pamlico County. This sleepy little town is home to the YMCA’s Camp Sea Farer camp for girls, the Arapahoe Charter School, as well as river and creek front properties located on high bluffs overlooking expansive, pristine waters. Oh, that country cooking restaurant and oyster bar produces some of the best sea food in Eastern North Carolina. Bayboro, named after the Bay River, became the first town in the county to incorporated 1881even thought it had been settled years before. In 1876 Bayboro became the County Seat and is still there today. You will find our county court house, Sheriff’s department and many of the government offices in Bayboro . The primary, elementary and High schools are located within walking distance from most of the neighborhoods. The restaurants, professional services, shopping and a variety of parks and recreational areas make this a wonderful town for professional, retirees and families with children. “Goose Creek Island” was formerly part of Beaufort County. In 1874, Hobucken and Lowland citizens voted to become part of Pamlico County. Around 1900, a post office was established for the area. The island is a magnet for fishermen and duck hunters and is home to a unit of the U.S. Coast Guard, which is located on the Intracoastal Waterway. The town’s name is derived from an Indian word said to mean, “Land of sky-tinted water.” It was developed as resort area on the Neuse River by the Hardison family after World War 1 and is a still a happening place in Pamlico County today. Here you will find the county’s only golf and country club and YMCA’s Camp Sea Gull for boys on the shores of the Neuse River. Minnesott Beach is known for its protected, deep water marina and boat yard as well as the county’s ferry to Cherry Point Marine base. With high bluffs over-looking the Neuse River, protected harbor, inland lakes and establish neighborhoods, you can understand why Minnesott Beach is home to a wonderful mix of young families and retirees alike. Once called Smith Creek and settled in 1870, residents wanted to establish a post office when they found the town first needed an official name. Uncle Lou Midget’s wife found the nameplate from the steamship “The Oriental” on the shores of Manteo, NC. The ship had sunk off the coast of Cape Hatteras in 1862 while under the commission of the Union army. The residents agreed on the unusual name and the town of Oriental was officially named incorporated in 1899. 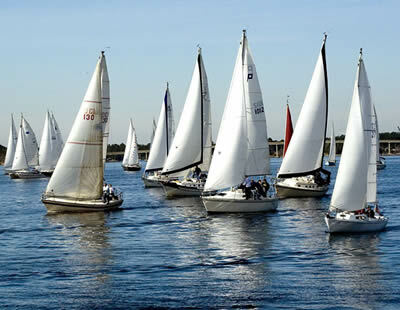 With just 875 residents and over 2,700 boats, it’s obvious how Oriental earned its name of “The Sailing Capital of North Carolina”. Oriental not only has boating of every kind, Oriental has active theater, music, and fine arts communities. We take pride in our many quirky ways to celebrate just about every holiday and occasion, including regattas, the 4th of July’s Croaker Festival, Dragon Boat races and the Spirit of Christmas celebration. Living in Oriental is enjoying riding a bike to the Bean for coffee, early church on the river or sitting at the Tikki Bar listening to the Soul Shakers. Most importantly, living in Oriental is about slowing down and celebrating life. No one seems to know how Reeslboro got its name, but it seems likely that it was named for the Reel families. Reelsboro is situated in a very sandy area. Before the hard surfaced roads were built, cars had to wind (or perhaps “reel”) around to keep from getting stuck in it. When the railroad came to Pamlico County, one of the stops was named “Reelsboro.” Its post office was established in 1891. Stonewall was incorporated in 1870 when it was still part of Craven County. Citizens first wished to name the town “Jackson” for the owner of a local mill. But since there was already a town with that name in North Carolina, “Stonewall” was selected — presumably in honor of General T. J. “Stonewall” Jackson. It was home to Pamlico County’s first post office, which was established after the Civil War, and the original site of the county courthouse before it was moved to Bayboro. At one time, the Indian village of ”Secotan” was located here. Later, it was renamed by the wife of a former Union Army surgeon who settled here in the 1870s. Its new name was derived from the words “van” (the Dutch word for “village”) and De Mere” (French for “by the sea”). Vandemere is situated on a point where Vandemere Creek flows into the Bay River. It was incorporated in 1874 and was the county seat from 1872 (when Pamlico County was formed) to 1876. All of our rental properties are currently leased. Angie enjoys playing a role in making Pamlico County….